Charlie White's Patrimony was featured in "Father Figure" by Jonathan Griffin, first published in Art Reader Los Angeles in January 2017. 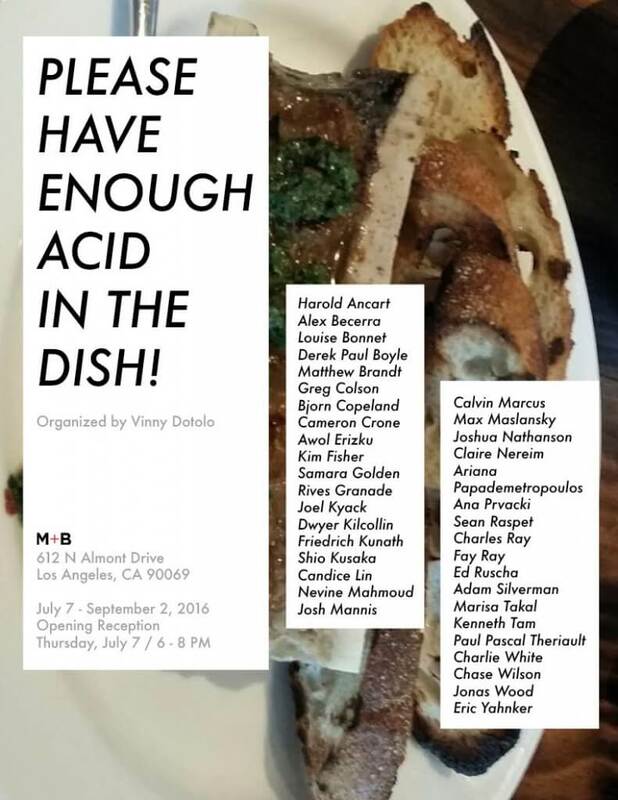 Please Have Enough Acid on the Dish!, a group exhibition organized by Vinny Dotolo, features the work of artists Candice Lin, Joel Kyack, and Charlie White. The opening reception is Thursday, July 7 from 6 - 8 PM.